A friend of mine needed to switch between three guitars and send the signal to an amp. I developed the gSwitch® to solve his problem. You can use the gSwitch as a 3-to-1 or 1-to-3 switch. The direction of the signal does not matter. 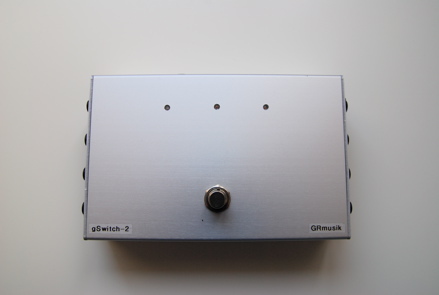 Based on the gSwitch®, I developed the gSwitch-2® for an other guitarist. The gSwitch-2® contains a 3-to-1 switch plus a 1-to-3 switch. Both can be used with symmetrical and unsymmetrical signals. Their switching is synchronous. I also added a new feature. Each channel detects if a source is plugged in. If not, it is not used for switching, making it a simple A-B-Switch.